 Stuart A. Kauffman, DO, has dedicated his practice, PRP in Philadelphia, to providing platelet-rich plasma (PRP) and stem cells to stimulate your body’s natural healing power. To ensure accuracy with his injections, he uses advanced imaging tools like fluoroscopic guidance at his office in Huntingdon, Pennsylvania. Whether for pain or an injury, you can expect excellent treatment and care. To schedule a consultation at PRP in Philadelphia, use the convenient online booking feature or call the office directly today. Platelet-rich plasma is a minimally invasive injection therapy offered at PRP in Philadelphia that stimulates your body’s own natural healing power. Dr. Kauffman creates PRP, which is a blood product rich in the platelets and growth factors responsible for healing and regeneration, using a sample of your own blood. Dr. Kauffman offers PRP injections to treat a wide range of health conditions, including sports injuries and chronic pain. Stem cells are special cells that have the ability to transform themselves into what your body needs, whether blood, nerves, or tissue. Dr. Kauffman often combines PRP with stem cells as a treatment for advanced injuries to speed up the regeneration and healing process. Dr. Kauffman uses fluoroscopic guidance for orthopedic injection of your PRP and stem cell therapy treatment. Fluoroscopic guidance is an advanced imaging system that creates movie-like X-ray images on a screen, allowing Dr. Kauffman to view his injections in real-time. The success of your PRP and stem cell injections are dependent on the skills of the physician, and using tools like fluoroscopic guidance allows Dr. Kauffman to be as precise as humanly possible during your procedure so you get the most effective results. Do I need fluoroscopic guidance for my regenerative therapy? You may need more than one injection to get the most relief. However, you should experience significant improvement after your first or second injection. What can I expect during fluoroscopic guidance? Dr. Kauffman recommends you wear loose and comfortable clothing when coming in for fluoroscopic guidance as part of your PRP or stem cell injections. He has you sit on a special X-ray table and positions you so he has the best access to the treatment area. Then, the special X-ray scanner generates images onto a screen, which Dr. Kauffman uses to place your injections. Fluoroscopic guidance itself isn’t painful, but you may experience some discomfort when the PRP or stem cells are injected. For expert care and the greatest precision with your PRP and stem cell injections, call PRP in Philadelphia or schedule an appointment online today.